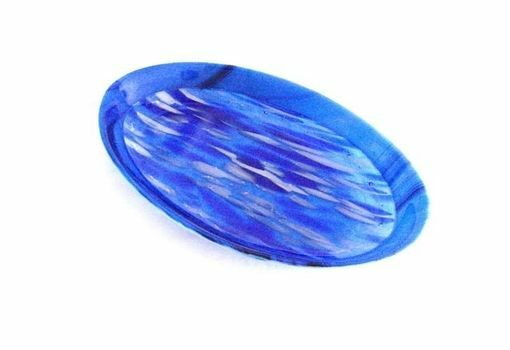 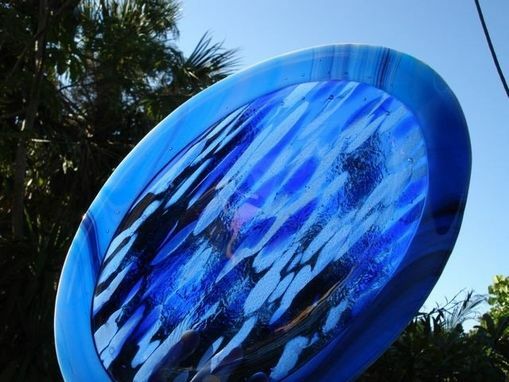 This 13 1/2'' x 8 _'' fused-glass oval platter echoes the sea, with its splotches of different shades like undulations in calm waters. 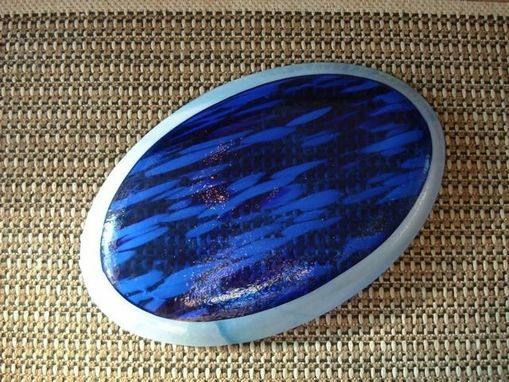 Blue and white glass were edged with blackberry, and overlaid with transparent blue before baked in the kiln to fuse once. 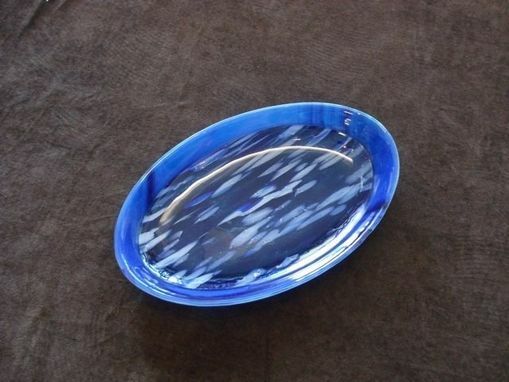 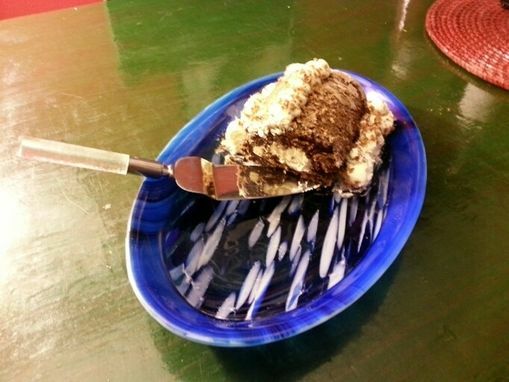 The platter is 1 1/2'' deep.